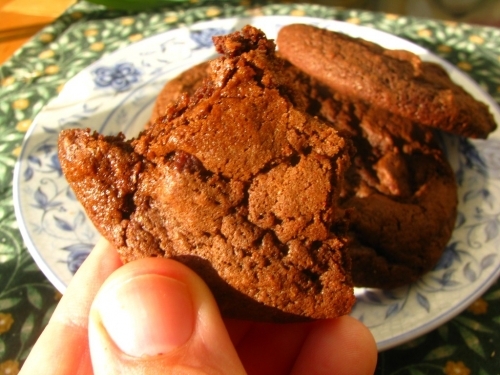 Dark chocolate chipotle cookies: sweetness with a great kick of spice. Friends and loved ones near and far! I am so excited to finally share the goodness that is Banana Moon Baking Company with you. I’ve never interviewed a local business owner before, but when I met Arlene of Banana Moon two weeks ago, learned about her new independent business, and tasted her baked goods, I knew I’d found something special. 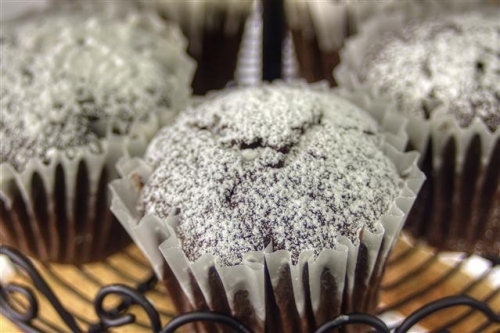 The motto listed on Banana Moon’s Facebook page: To provide homemade treats that use thoughtful ingredients and taste good! How appealing is that? Settle in and be prepared to drool over Arlene’s mouth-watering treats as you learn about a hard-working mother making her passion a reality here in the Hudson Valley. Christy: Tell me who makes up Banana Moon Baking Company? Arlene: Technically it’s just me, but I do have some amazing helpers when I need it. My husband, my mother and a good friend are always there to lend a hand with the baking or to entertain our daughter. Christy: What’s the story behind the name Banana Moon? Arlene: When we were little, my sister and I used to pretend that a crescent moon was a “banana moon” up in the sky. It’s kind of a reminder to us to never stop dreaming. Christy: What’s your baking background? 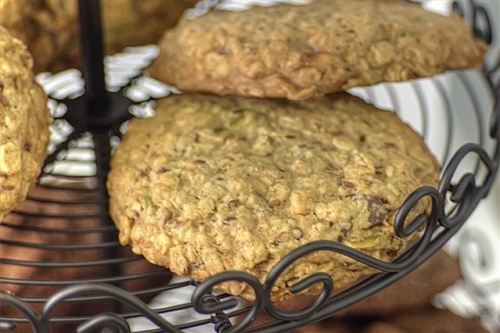 The Good, the Bad, and the Oatmeal cookie- so hearty and delicious! When our daughter was born, my husband and I decided that I would be home with her, but I still really wanted to work in some capacity (besides the never-ending, but ever fulfilling, job that is motherhood). Earlier this year, I made the leap into the home baking business. 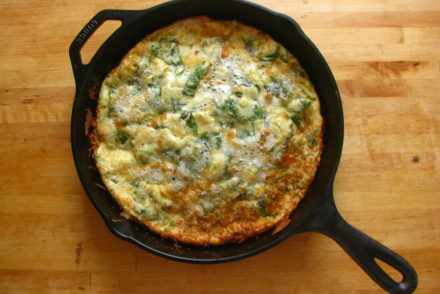 Most of the recipes I use are ones we have perfected over the years. Christy: Out of the cookies you sell [dark chocolate chipotle, the good the bad and the oatmeal, peanut butter shortbread, raspberry lemon thumbprints, and cherry pecan teacakes], which is your favorite? Peanut Butter Shortbread. It’s as good as it sounds, I promise. Christy: What’s a typical day like for you, as a small business owner/baker/mom? Arlene: My days are always a combination of baking supply and/or grocery shopping, mixing cookie dough, playtime, attempting to get my daughter to nap, cookies in the oven, playtime, deliveries, cleaning my kitchen, more playtime, etc… Ultimately, I’m at the mercy of a twenty-month-old. My husband travels for work more often than not, so I get things done when I can, which sometimes means I’m baking cookies after my daughter has gone to sleep. Christy: Where do you get your recipe inspiration from? Are there any chefs that you look up to, any food blogs you follow? Arlene: I’d love to say I follow certain chefs or food bloggers, but the truth of it is that I don’t really have time. I think the main inspiration for my cookie recipes revolves around being able to optimize flavor with quality ingredients. For example, instead of shortening, I use unsweetened applesauce. I use only unbleached, unbromated flour. I never use sugar made from GMO sugar beets. These are small things, but they ultimately add up to a product I feel good about. I try to use non-GMO, organic, or local whenever possible. If I can’t find ingredients I feel good about to complete a recipe, then it’s just not something I will make. 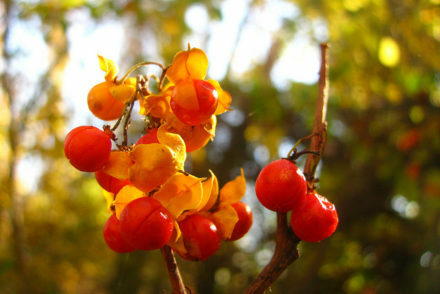 Christy: More and more people are appreciating quality ingredients like that! So cool. 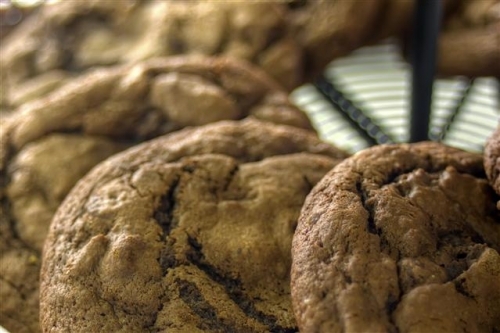 Next: If you couldn’t bake for whatever reason, what would you do instead? Christy: Where did you grow up and what keeps you in the Hudson Valley? Arlene: I grew up in Blue Mountain. The most northern part of Saugerties and Ulster County. When I was growing up, I always felt so isolated out in the sticks, but as an adult I would love to live back there. It’s such a beautiful, peaceful area. My family is in this area, for the most part. It would take a very good job offer to get us to leave. Christy: Do you have a favorite Hudson Valley bakery? Restaurant? Pizzeria? (Maybe slightly off-topic, but I can’t help asking, I love pizza!) Or if that doesn’t apply, what are your favorite kinds of food to eat, and where, in the Hudson Valley? Arlene: I don’t really have a favorite bakery. How weird is that? But I do love pizza, as does everyone else in my house. 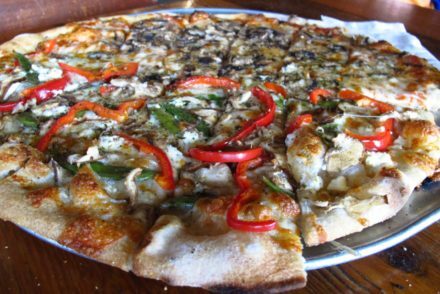 Recently, we have been visiting Slices in Saugerties. Their pizza is excellent! We also have an addiction for visiting Pippy’s Hot Dog Truck, normally parked in Palenville, but she also travels around to do events. Her flavor combinations are simply amazing (Hawaiian Dog)! I quite enjoy Tomo Sushi in Saugerties or Boitson’s in Uptown Kingston, as well. We really love to eat good food: Thai, Indian, Ethiopian, Japanese…whatever! We will eat it as long as it’s made well. 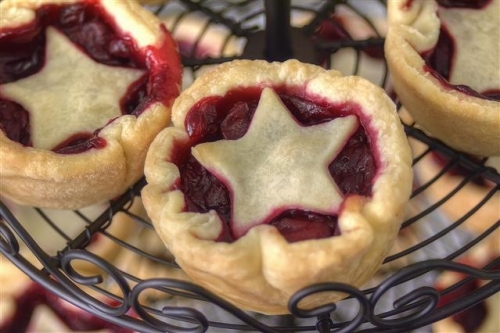 These tarts are moist, flavorful, rich, and the perfect little snack. I think the star makes me love them even more! 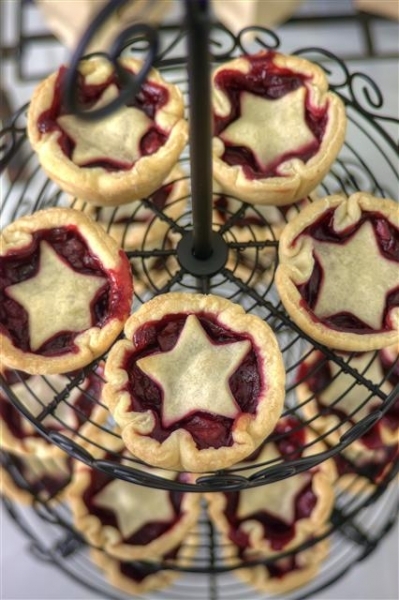 Christy: What’s the best thing that’s come out of your baking business? Arlene: The best part is that I get to maintain a constant relationship with my daughter. This time in her life is so important developmentally. I couldn’t imagine leaving her every day to go to work. My heart breaks for every parent that must do it, including my husband. Christy: These last few are straight from ‘Inside the Actor’s Studio’: What’s your favorite smell? Arlene: I hate the smell of bleach. It makes me physically ill.
Christy: Same, I can’t stand the cleaning aisle in the supermarket! What’s your least word? Arlene: I hate the word bigotry. I wish there were no need for it to exist. Christy: And your favorite word, or favorite thing to hear? Arlene: Right now it has to be when my daughter hugs me, pats me on the back and says ” you too” for I love you, too. What could be better? How cute is the Banana Moon logo? 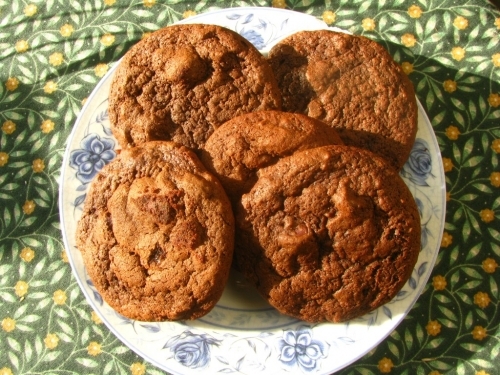 It was so tough to wait to eat these cookies until after I photographed them! 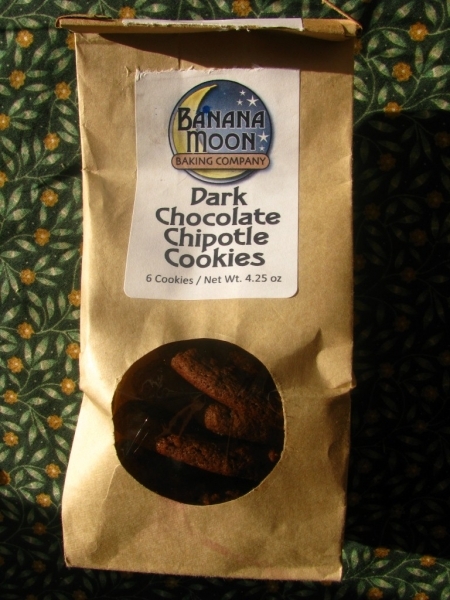 Banana Moon Baking Company cookies can be found at Lucy’s Tacos in Uptown Kingston, The Apple Bin Farm Market in Ulster Park, Davenport Farms in Stone Ridge, and several other locations in the Mid Hudson Valley/Catskills region of New York. 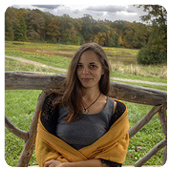 Check out Arlene’s Banana Moon Facebook page to see them all (and give her a like! ), as well as for updates on where to find her next! Disclaimer: Much gratitude to Arlene for providing me with samples of each of her cookies. I received no other compensation; I truly love these cookies and want to spread the word about Banana Moon. All opinions expressed are my own. How funny – if I weren’t a photographer, I’d want to be a baker. In another life, maybe! So funny, Tamara! So many of us love baking 🙂 Isn’t it so great to see more and more people deciding to live their passions? Thanks Kristina! And I know, right?? We have exercised extreme willpower in not inhaling all the yumminess at once! The tarts are super special because Arlene picked the cherries herself at a local farm! So she made them, sold them, and won’t be available again until next year. Thanks for the comment and for checking out Banana Moon! Great interview, Christy…did you ever consider interviewing for the purpose of submitting your work to a local paper or magazine? I think you have shown great talent in coming up with good questions that encourage great answers! What could be better than learning more about people who are creating delicious treats, food or useful items? Keep the interview coming…and a cookie recipe would be good, too (LOL). Thanks, Mom! I do really like interviews/learning about people in this format- Arlene’s already suggested someone else local for me to feature 🙂 I don’t know about newspapers or magazines…but it is an intriguing idea. We’ll see! I really appreciate your feedback, Katherine! Doing this interview was super fun, and it’s nice to know my questions weren’t boring, haha. 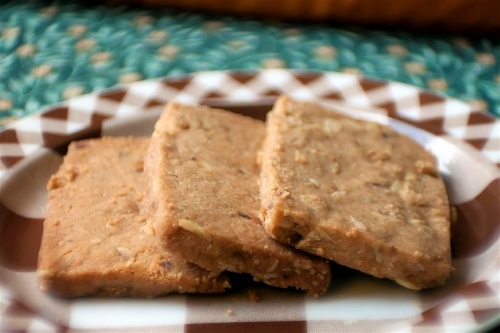 You would definitely love the peanut butter shortbread cookies! I had a great time answering these questions! Thank you Christy, for your support and encouragement. Banana Moon is really starting to take off! I’ve got a number of events coming up at the beginning of September and October if anyone wants to come see me. Awesome, Arlene! Promoting local businesses is so much fun and I’m glad your business is picking up.